TRADITION -A CUSTOM, OPINION OR BELIEF HANDED DOWN TO POSTERITY ESP. ORALLY OR BY PRACTICE. JUDAISM - THE RELIGION OF THE JEWS, / THE JEWS COLLECTIVELY. THE ABOVE DEFINITIONS ARE FROM THE ILLUSTRATED OXFORD DICTIONARY. As you should know by now, the people who are known as Ashkenazi Jews are not true descendants of the ancient Israelites. 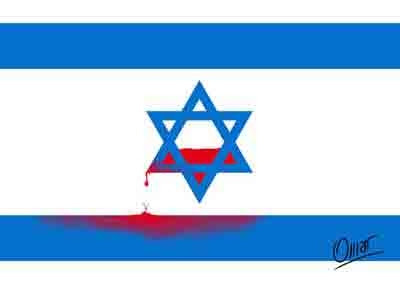 They are descendant from a people known in history as the Khazars. (Be sure to read the Edom and Khazars page). The majority of Jews living in Europe, Russia, Israel and the United States are secular (don't believe in a Elohim). The ones who are religious or have a belief in a god, practice what they call JUDAISM. As you can see from the definitions above, Judaism is the religion of the Jews, it is also a nickname for Jewish culture. When Yah the Most High gave the laws to Moses (Moshe) on Mt. Sinai, he never once mention anything about Judaism. Judaism is not of Yah, it is the creation of men who are inspired by Satan. As Israelites our main goal is to return back to Yah our father, with all our soul, mind and heart. The only way Israel can return, is to follow the only true path Yah has laid down for us. If we take any other route then we are still on the path to destruction. Over the years in my Israelite Journey, often I come across Israelites who are new students to the truth. Many of these brothers and sisters believe that we are to copy everything Jewish, they believe we are suppose to practice Judaism, wear the six pointed star, etc I don't blame them for their ignorance (Not Knowing), but after you have learned the truth, you must do better. In my walk with Yah, I have learned to stay away and do away with all things that are Jewish, and Christian for that matter. Not because they are Jewish (alone) but because it is not from Yah, and it can cause confusion, which leads to destruction. Before any hater of the truth reads this and try to make it seem as if I'm a racist. I'm not, this subject is scriptural, all scriptures are from Yah, if you have a problem with this, take it up with the Master. This page will explain why we as Israelites must not follow Jewish tradition. It's real simple, Jewish tradition is not from Yah the father. I will point out a few of the traditions that Israelites fall into, believing they are doing right. TALMUD - The Body of Jewish Civil and ceremonial law and legend comprising the Mishnah and the Germra. The Talmud is one of the "holy" books of Judaism. This book is held higher than scriptures in some forms of Judaism, this is stated in the Talmud. Erubin 21b (Soncino edition): "My son, be more careful in the observance of the words of the Scribes than in the words of the Torah (Old Testament)." The Talmud is a collection of rabbinic writings. Jews say these writing are the oral law of Israel, everything Moses didn't write down on Mt. Sinai is said to be in the Talmud. Example: How to properly slaughter animals etc. That's strange because no where in the 66 books of scripture or the books that were removed (Book of Jasher, Enoch, Pseudepigrapha, Apocrypha), do we see any mention of a Talmud or oral law. Oral law is another name the Jews use for Talmud. The Laws Moses got from Yah was written down. Exodus 24:12 And YAH said unto Moses, Come up to me into the mount, and be there: and I will give thee tables of stone, and a law, and commandments which I have written; that thou mayest teach them. 31:18 And he gave unto Moses, when he had made an end of communing with him upon mount Sinai, two tables of testimony, tables of stone, written with the finger of YAH. There is no mention of a Oral law being given to Moses. Another Point, If the Talmud represents the oral law that was given to Moses how did it survive this long being that the Israelites had forgotten about the WRITTEN LAW. 2nd Kings 22:8 And Hilkiah the high priest said unto Shaphan the scribe, I have found the book of the law in the house of YAH. And Hilkiah gave the book to Shaphan, and he read it. 2nd Chronicles 34:15 And Hilkiah answered and said to Shaphan the scribe, I have found the book of the law in the house of YAH. And Hilkiah delivered the book to Shaphan. 21 Go, inquire of YAH for me, and for them that are left in Israel and in Judah, concerning the words of the book that is found: for great is the wrath of the YAH that is poured out upon us, because our fathers have not kept the word of YAH, to do after all that is written in this book. The Talmud or Oral law, should not be adhered to by Hebrew Israelites, that book is a fraud, it is not of Yah or from Yah. The Talmud was created sometime in the 2nd - 5th century C.E. (common Era). It is not from our ancient forefather, they had no knowledge of a Talmud they only knew of the Torah (laws, instructions) and Scriptures. Proof being the Ethiopian Hebrews, our brethren from the tribe of Dan had no knowledge of the Talmud when they reentered Israel. Lets look at a few of the wicked passages from the Talmud. The Talmud is where the so called racist curse of Ham started. 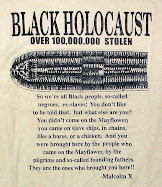 The Talmud says black people are cursed with black skin because Noah cursed his son Kham (Ham) on the Ark. That is none scriptural, the Talmud is a book we must stay far away from. TANAKH - JEWISH WORD THAT REFERENCE THE OLD TESTAMENT OR HEBREW SCRIPTURES. TORAH - HEBREW WORD MEANING LAW OR INSTRUCTIONS. REFERENCE TO THE FIRST FIVE BOOKS OF SCRIPTURE ALSO CALLED THE BOOKS OF MOSES. Some of you may be surprised that I am including the word Tanakh with Jewish tradition. Many Israelites use this word today instead of Old Testament. All the scriptures from Genesis to Malachi is named the Tanakh by rabbinic scholars. Tanakh is not the Hebrew word for the old testament, Tanakh is a created word, It stands for TORAH (LAW, INSTRUCTIONS), NEVI'IM (The Prophets) and KETHUVIM (The Writings) TNK insert the vowel points and you have TANAKH. TANAKH just like Judaism and Talmud it's not mention in scriptures, the reason being they all are words created by unlearned Gentiles who call themselves Jews. I don't like the terms old testament or new testament, the book is the same, it's one continual work. The word Scripture or the word of Yah is a more accurate term in reference to Yah's truth. Matthew 21:42 Yahshuah saith unto them, Did ye never read in the scriptures, The stone which the builders rejected, the same is become the head of the corner: this is the Yah's doing, and it is marvelous in our eyes? 22:29 Yahshuah answered and said unto them, Ye do err, not knowing the scriptures, nor the power of God. Mark 7:13 Making the word of Yah of none effect through your tradition, which ye have delivered: and many such like things do ye. Luke 8:21 And he answered and said unto them, My mother and my brethren are these which hear the word of YAH, and do it. From the definition of Judaism at the beginning of this page, we see it's the religion of the Jews. As I have stated, Judaism is not the laws and commandments that Yah gave to Moses on Mt. Sinai. Judaism is a religion created by Jewish rabbis for Jewish people and those who convert to the Jewish culture. Yah's laws and commandments are not a religion but a set apart way of Life. Hebrew Israelites don't practice Judaism, we adhere to Yah's Torah (Instruction, laws). He didn't say come and get Judaism, the Tanakh or The Talmud and teach them. No He said come and Get the Laws and commandments. All these sects use the Talmud in higher esteem over the scriptures. KOSHER - Of Food or premises in which food is sold, cooked or eaten fulfilling the requirements of JEWISH LAW. The law of clean and unclean meats can be found in the book of Leviticus 11. Yah gave us meats that are clean or healthy for us to eat, this is what the term clean meats refer to. Jews have created a word that many think is the proper Hebrew term for clean meats. This word as you may know is Kosher. Kosher is not the Hebrew word for clean meats, it doesn't refer to the laws of clean and unclean meats. Kosher refers to the way the animal is slaughtered, and how to drain a majority of it's blood. They have Kosher pigs, in fact the state of Israel has one of the largest pig farms in the world. Any animal can be Kosher as long as it's slaughtered according to the Jewish law. Kosher comes from the Jewish Talmud, that alone should let us know we shouldn't deal with it. Just because you see Kosher on a food label does not mean that product contains 100% clean meat. All it means it that the animal used for that product was slaughter in a certain way that the rabbi's approved of. Hebrew Israelites shouldn't refer to ourselves as Rabbi. Matthew 23: 8 But be not ye called Rabbi: for one is your Master, even Messiah; and all ye are brethren. 1. THE JEWISH CALENDAR (they began their new year in Sept, when the scriptures say the new year begins with the month of Abib which is around "March" Or "April". 2. THE 6-POINTED STAR OR SHIELD (Which ever name you refer). The 6 pointed Star is pure idolatry. It's an ancient Idol, that can be traced back to the old babylon under Nimrod. Today's witches and warlocks use this star along with the occult secret societies. Yah commanded us not to have idols, this includes the star, which has nothing to do with King David. 3. WEEKLY SHABATH READINGS, (reading the Torah is good, but the Jews have almost made a commandment that you must read certain scripture approved by their rabbi each week. 4. MAKING AND WEARING FRINGES Be Careful that you are not doing this according to how the Jews do theirs, they are following the authority of the rabbis and not Yah. Stick to the script, don't look to jews for knowledge on how to keep the feast days, check the scriptures. 9 times out of 10 the Jews are observing the feast according to the Rabbinic law found in the talmud. AND LAST BUT NOT LEAST CALLING YOUR SELF A JEW. This is a big NO NO. 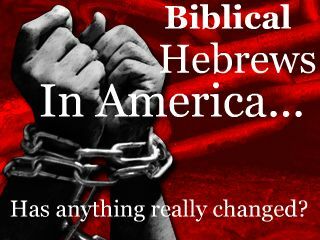 Hebrew Israelites are not Jews, we are of the house of Israel, Jews are not. Only those true Israelites who convert to Judaism and do exactly as the Jews do, wear that misnomer title JEW. The Next page will explain this in full detail, why we are not Jews. Brothers and Sisters there is only one path to Yah, following Jewish tradition and customs will not put you on that path. YOU ARE NOT JEWS OR JEWISH, YOU DO NOT FOLLOW JUDAISM. Stick to the scriptures, leave those other man made devices and doctrines alone. I will have a follow up to this page called 'WHY WE MUST NOT FOLLOW CHRISTIAN TRADITIONS, that too is just as important to know. Editor's Disclaimer: I am still growing in a lot of the Israelite truth. As I study, I keep Christ as the center of all my interpretation of Scripture. But this synopsis is excellent and instructive, nonetheless. *All italicized and bold-faced items are the emphases of the Editor.